Which Wheat for What Baking…. Soft white wheat is ideal for baked goods that not kneaded, like cookies and pancakes, pie crusts and crackers. Soft wheat has a very low gluten content, which, when used in baked goods that are not kneaded, results in a tender finished product. Prairie Gold is Wheat Montana’s brand name for the hard white wheat they grow. 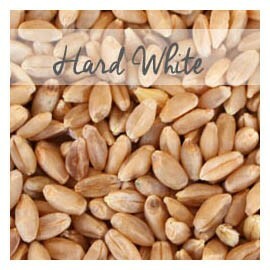 Hard white wheat is slightly higher in gluten than hard red wheat, milder in flavor and naturally lighter in color. Bread made with hard white wheat has a sweeter flavor and lighter texture than traditional whole wheat breads; it is never dense or bitter and doesn’t require any added white flour or gluten to create beautiful light loaves every time. A good choice for those who are hesitant to switch to whole wheat baking. Bronze Chief is the brand name of spring-grown hard red wheat that we offer. It’s excellent for turning out loaves of classic whole wheat bread with their nutty flavor and springy texture. Bronze Chief wheat is best for yeast or sourdough breads. Although it is not as mild as the Prairie Gold, we love the depth of flavor this traditional wheat imparts. 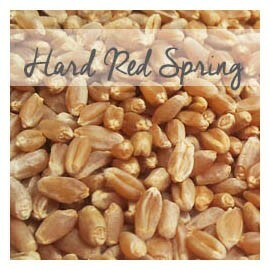 Very similar to Hard Red Spring Wheat for baking, but when it comes to sprouting, many people say the Hard Red Winter Wheat is superior to the spring-grown red wheat. 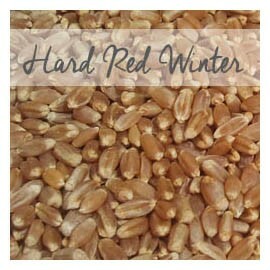 For baking, use Hard Red Winter Wheat in yeast or sourdough breads. It is interchangeable with Hard Red Spring Wheat and imparts a classic, nutty whole wheat bread flavor. 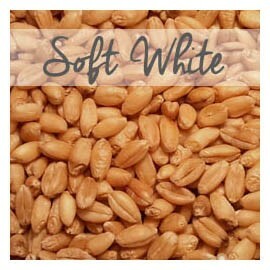 Soft white wheat has a very mild flavor, similar to Prairie Gold hard white wheat, but is used differently. Because it is low in gluten, soft white wheat is best for baked goods that should have a tender crumb, like muffins, pancakes, quick breads, biscuits and pie crusts. It’s usually a bit more expensive than the hard wheats, but the results are well worth it! When I started using soft white wheat, and milling my own, I was able to eliminate the unbleached flour I had been using altogether. Spelt is a species of wheat that was widely grown in the Europe during the middle ages but has only recently gained popularity in America. It has less gluten than hard wheat, but with some practice, it can be used to make delicious breads and other baked goods. Although spelt does contain gluten, it is easier to digest than modern wheat varieties. In fact, some people who have mild wheat sensitivities can tolerate spelt. We have found spelt to be the tastiest of all the bread grains in our experiments! Kamut is a recently rediscovered variety of wheat that is gaining popularity as an alternative for modern wheat. 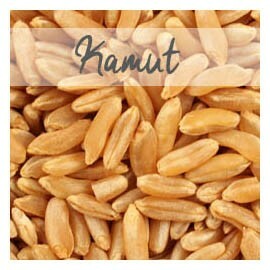 Kamut is actually a brand name of organic khorasan wheat, which is a relative of durum wheat. It is a high protein grain that is also particularly high in selenium and lipids. 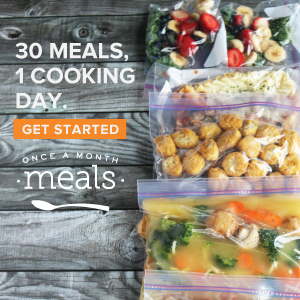 It’s best for baking bread or making pasta. Since it is easier to digest than modern wheat varieties, many who are wheat-sensitive use Kamut for pastries as well. 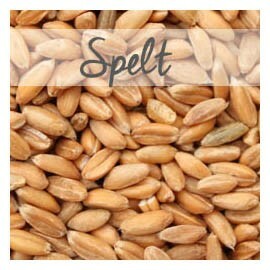 Like spelt, Kamut contains gluten but can be tolerated by some people who have wheat sensitivities. It’s also very tasty!